Twin Rivers Community Park, Greeley, Colorado, USA. 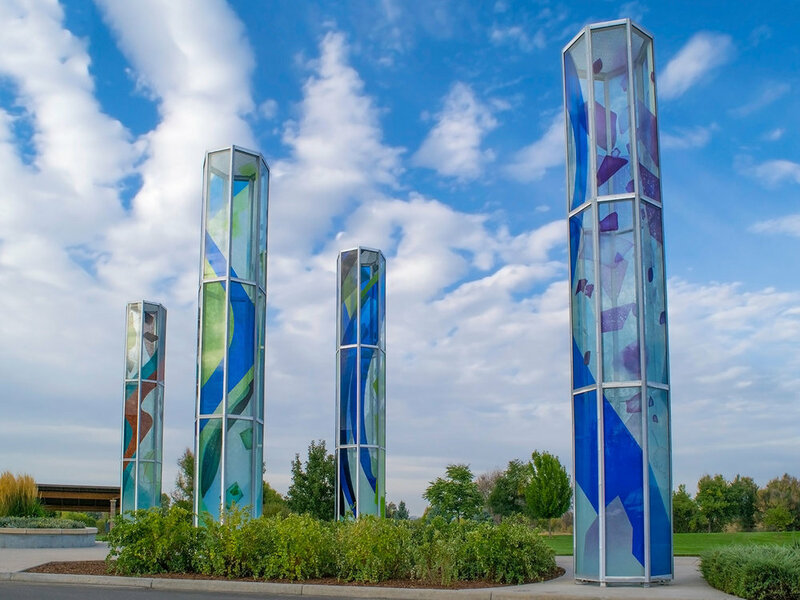 Four semi-transparent glass towers grace the entry path to the Twin Rivers Community Park. 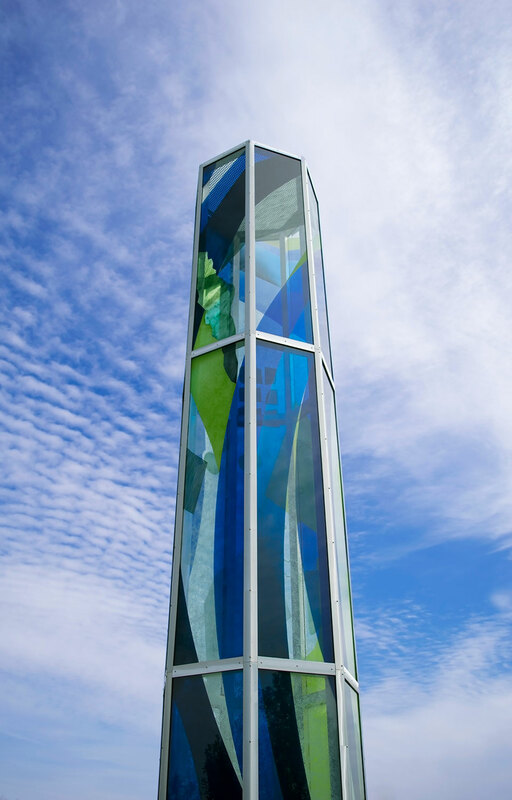 The work of art is designed to continue the natural flow of the landscape in and through the entry plaza and is also viewed from the circular drive to the entrance of the complex. 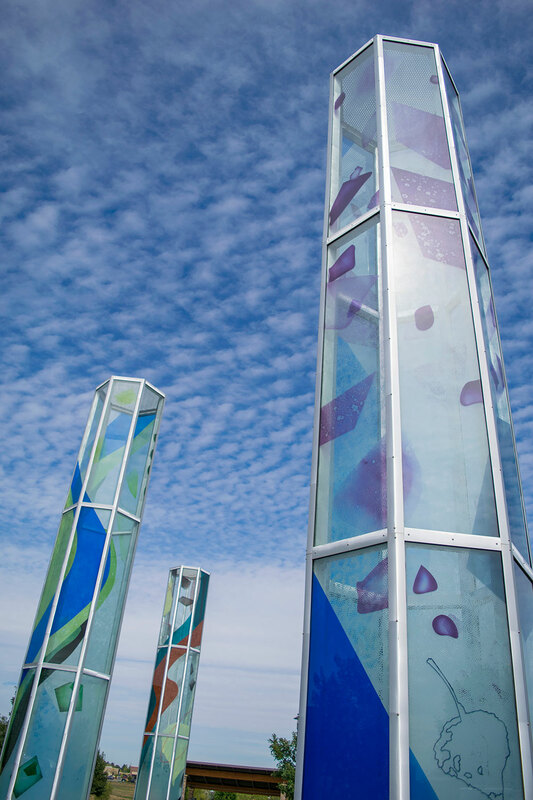 The towers evoke the cyclical rhythms of seasonal change from winter, spring, and summer to autumn. Barbara Grygutis worked at Franz Mayer of Munich Glass Studios, Munich, Germany, to participate in the fabrication of the glass panels. During the day the brilliant glass towers are luminescent. As daylight slips away, the towers are illuminated from within to softly glow. The community complex houses activities for all ages. The natural environment as seen through the change of seasons is a universal theme to which all members of the community can relate in a personal or communal way. 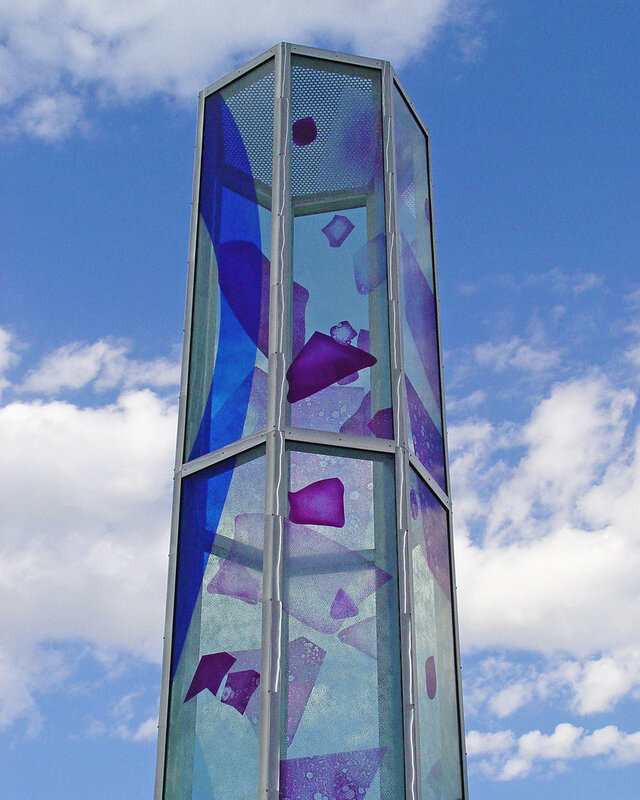 Commissioned by the City of Greeley, Colorado Art in Public Places Program.